What do we do with staff who take the initiative? 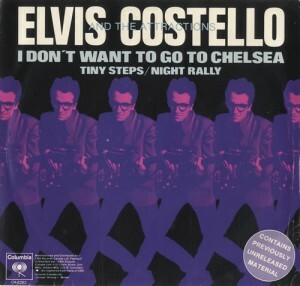 So sang Elvis Costello and anyone contemplating a career in sports medicine observing the events at Stamford Bridge this week, could be forgiven for deciding they don’t want to go to Chelsea either. Clearly those staff members were acting on their initiative, within the bounds of their job description and the laws of the game. So what’s the problem? Well this is a common leadership problem in any field, and as much as we talk about “empowerment” or “initiative” the main stumbling block is always ourselves, the leader. Because when we talk about those things we implicitly attach the caveat “as long as they do it right… my way”. As Leaders we need to decide both how to reward initiative as well as deal with the fall out where staff actions have some unexpected consequences. Wouldn’t it have been better for Mourinho to sit them down and say “I appreciate your speed and efficiency in dealing with the situation, however what we can’t have is to be left exposed during the game” and then move on? Or perhaps I am being “naive”, the word Mr Mourinho used so publicly in criticising his staff. How do you reward initiative? How clearly do you define limits of authority? How will you respond if initiative creates unexpected consequences?